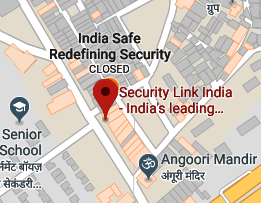 Heartiest Greetings from SecurityLink India ! Arun Jaitley, the Finance Minister of India, presented the fifth and most likely the last budget of this Government tenure for FY 2018-19. This budget was the most awaited and probably the most anticipated announcement since the implementation of the Goods and Services Tax (GST) in July 2017. Amidst mixed socio-political reactions from varied corners and sections of India’s populace, the security and fire safety industry hails it with optimism. The financial statement enshrines various promising provisions and implications for the industry. Emphasising the infrastructure as the growth driver of the economy, the Finance Minister announced an all-time high INR 5.97 lakh crore budgetary allocation on safe and secure infrastructure whereby he looks forward to connect the entire nation with an efficient network of roads, airports, railways, ports and inland waterways. Revamping 600 railway stations and equipping trains with Wi-fi and CCTV cameras, building of affordable housings to fulfil the target of housing for all by 2022, setting up 24 medical colleges and hospitals, the proposed making of 10 iconic tourist sites to encourage tourism, proposed 5 lakhs wi-fi hotspots in rural India and so on open huge scopes for the industry. An INR 2.04 lakh crore outlay for 99 smart cities, INR 3794 crore for MSMEs, and INR 3073 crore, double of the last year’s, for Digital India projects go very well to upkeep the industry’s prospect this year and facilitate all the stakeholders with ample business opportunities. As the Minister mentioned, NITI Aayog is to initiate a national program on artificial intelligence, and the Department of Science & Technology will launch a mission on Cyber Physical Systems to support establishment of centres of excellence for research, training and skilling in robotics, artificial intelligence, digital manufacturing, big data analysis, quantum communication and Internet of Things. These steps will further boost the morale and the stakeholders will involve themselves with greater intensity and fervour. Above all, the Union Home Ministry has been allocated about INR 92k crore, an increase of 10.5% over 2017-18, with a special emphasis on improving infrastructure of the police forces, and an outlay of Rs 2.95 lakh crore for Defence. It is pleasing to hear favourable allocations; however, the industry will benefit in exactitude only when the projects are opened and executed on ground with honesty and willingness to accomplish. Trust the Government has a defined layout to conclude the projects in a scheduled time frame. This month, SecurityLink India will participate in Fire and Security India Expo (FSIE), Bengaluru, as a part of the Build Fair Alliance, a consortium of co-located events, and bring special coverage in March issue. Till we meet next , stay safe and happy reading!